For Christmas this year, I received a wonderful collection of cookbooks from family and friends. One of them, has my husband drooling. I have never seen him pour over a cookbook so much. This book is: The Bacon Cookbook (Thank you, Keupers!) I love cookbooks. I use them mainly for inspiration and techniques. My husband has a collection of bacon, thanks so some of his friends getting him “the bacon of the month” club. So, naturally, he has been craving for bacon dishes. I found a recipe in the Bacon cookbook, that was right up my ally. 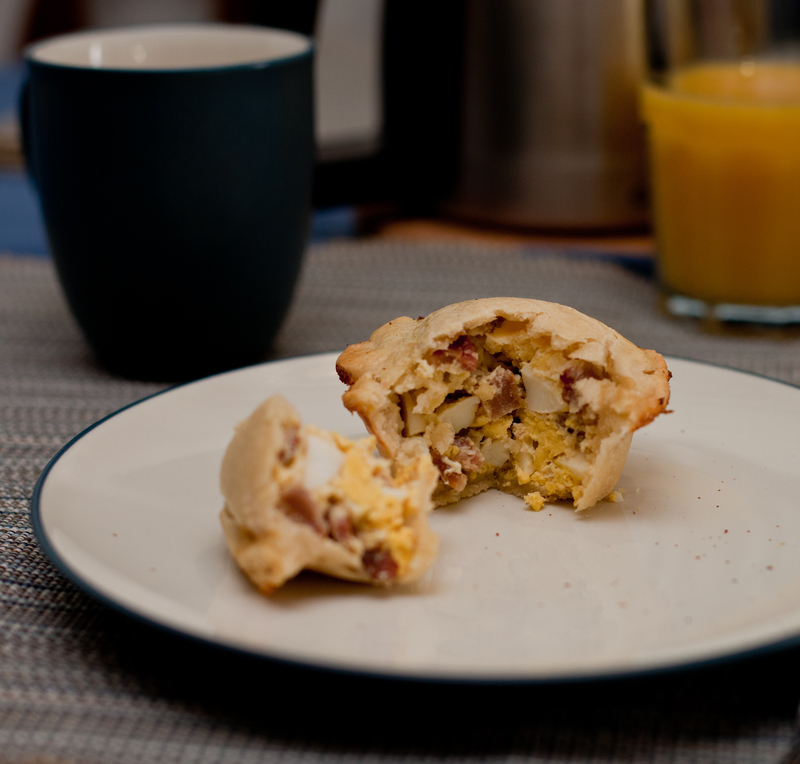 English Bacon and Egg Pie. It is a simple dish that satisfied what I craved (boiled egg) and him (bacon). Plus, his hobby is taking pictures, so it was an idea time to make a new dish. 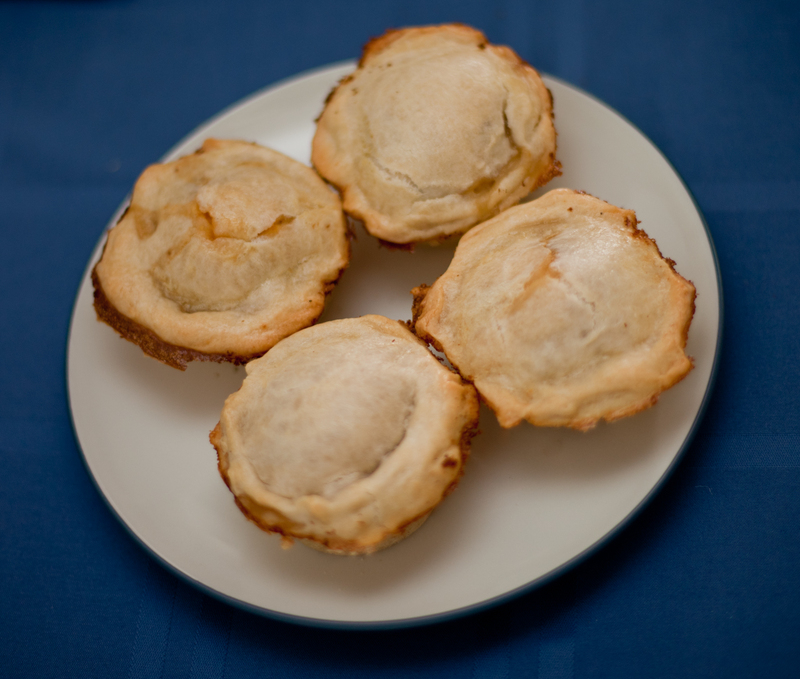 So, using this recipe as inspiration, I decided to make mini Bacon and Egg Pies for breakfast. This recipe is adapted from The Bacon Cookbook and the pictures were taken by my husband. 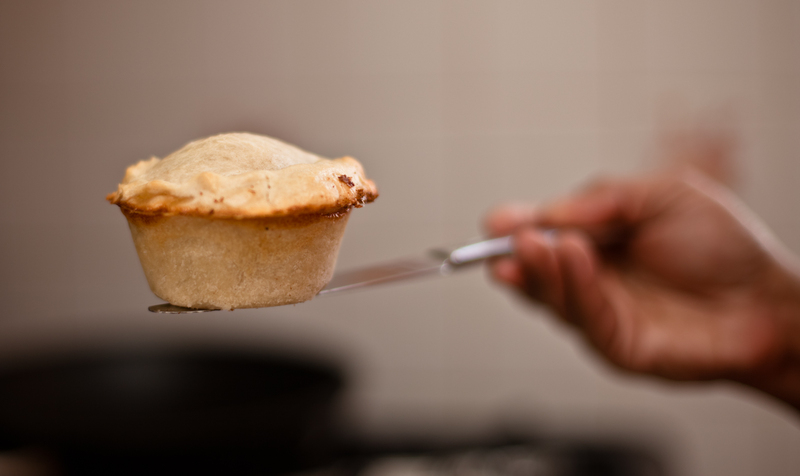 Combine flour and shortening with a fork, until you get small crumbs. Cover dough with saran wrap and refrigerate for about 20 minutes. 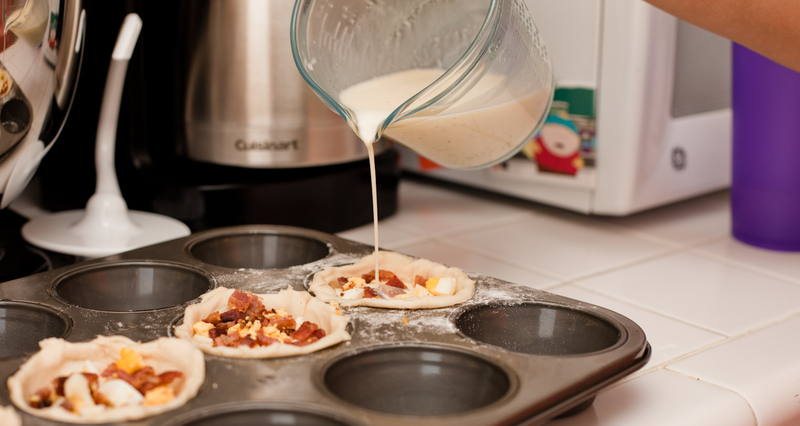 Mix hard-boiled egg and bacon together and divide them between the 4 pies. Whisk together milk, heavy cream and egg. 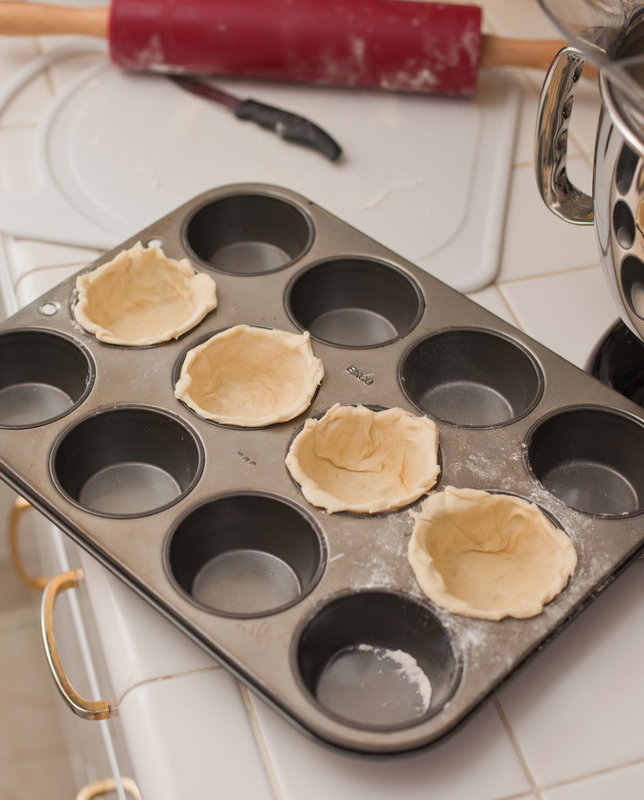 Glaze with milk mixture and make a cut in the top to vent. 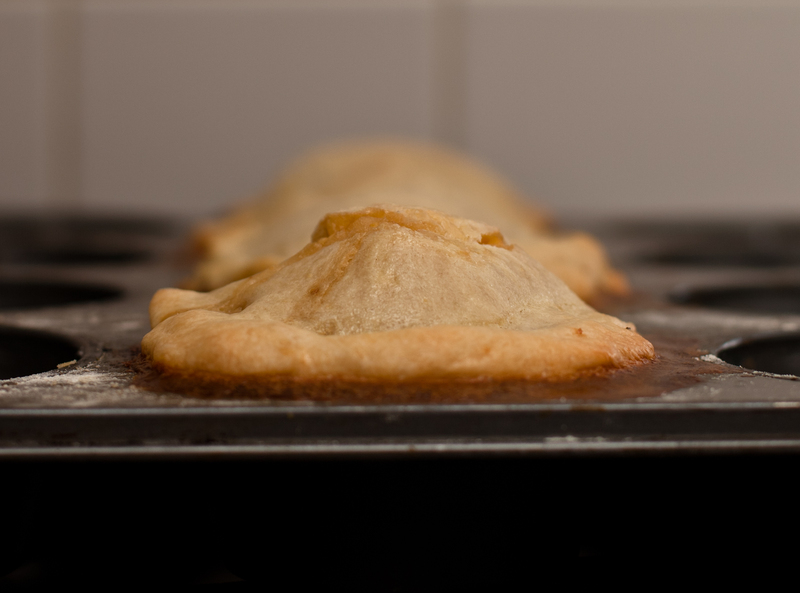 Bake at 350 F for 45 minutes and then allow to cool for 10 minutes before unmolding. 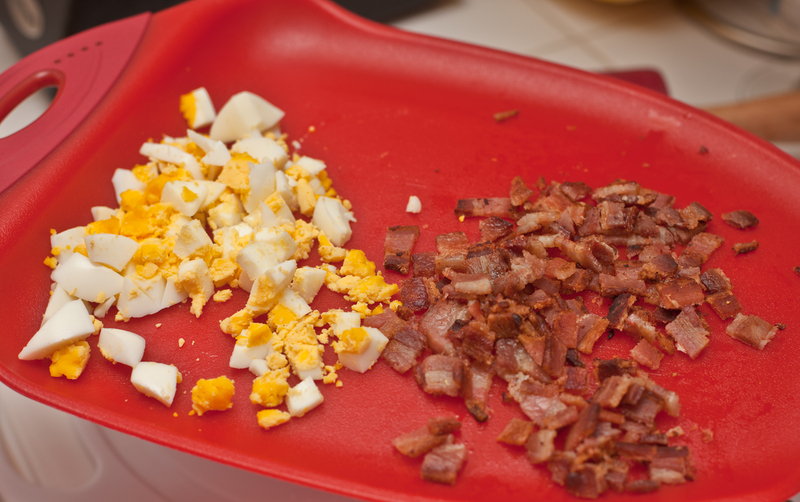 Chopped Bacon and Eggs on my new chopping board. Thanks Mom! This was a great recipe. It really takes on the flavor of whatever bacon you use! I can’t wait to try it again, but with Hickory Smoked bacon! Now that’s what you can make me on my next visit.. Yummo…looks great.